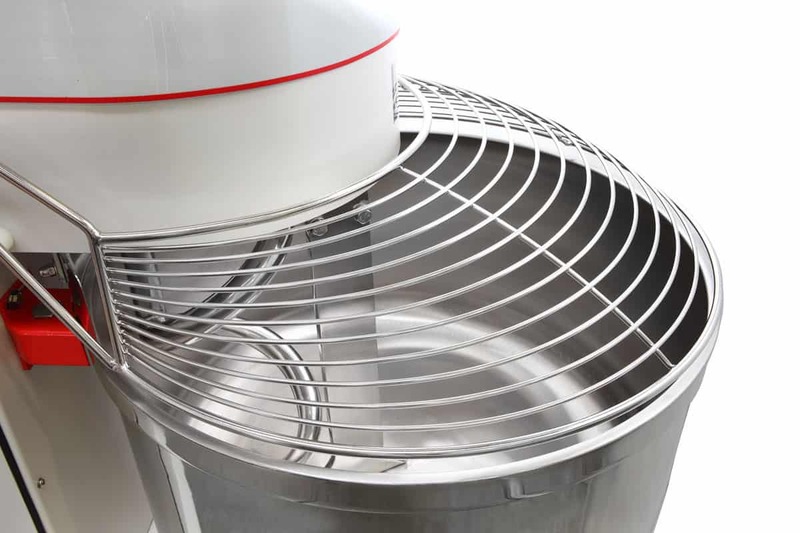 LP Group focuses on engineering and manufacturing the highest quality spiral mixing equipment for bakeries around the globe. Their VIS-R line is a reinforced powerhouse designed to process dough with low hydration levels.  For more information, please call our bakery equipment sales office and showroom at: 800.682.8203 or click here. For enhanced durability and reliability. 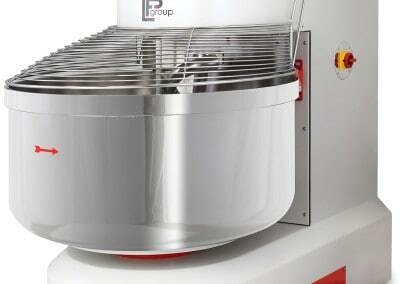 For added reliability and strength when processing stiffer doughs. Two reinforced motors that power both the bowl and spiral. Belt drive transmission for added reliability and strength. 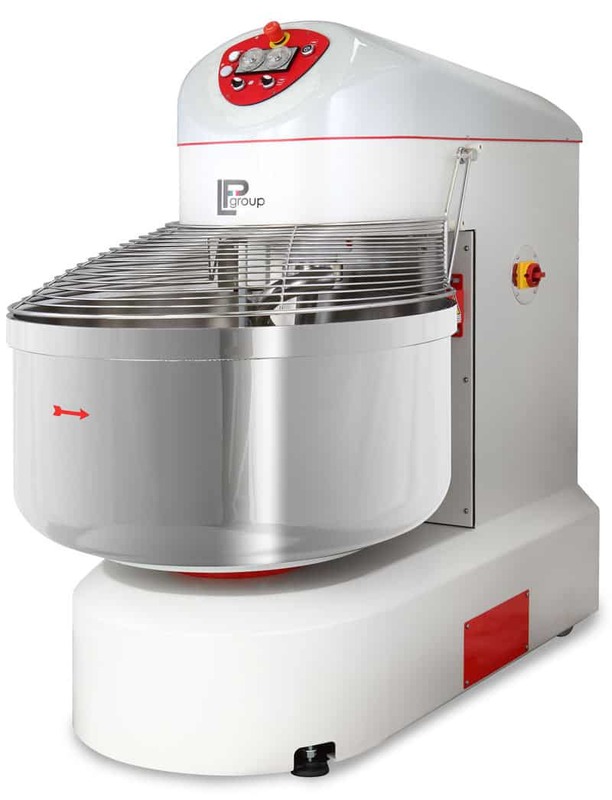 Capable of processing dough with low hydration levels. 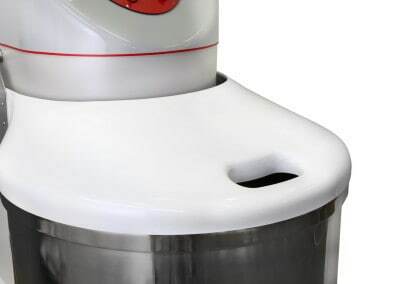 Includes ability to control bowl rotation, jog, mixer speed, and timers. The mixer can also be used in manual, semi-automatic, and automatic modes. Ability to reverse bowl rotation. 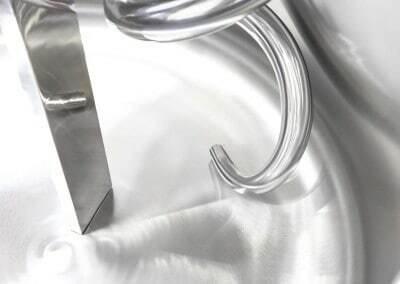 Stainless steel grate style bowl cover. 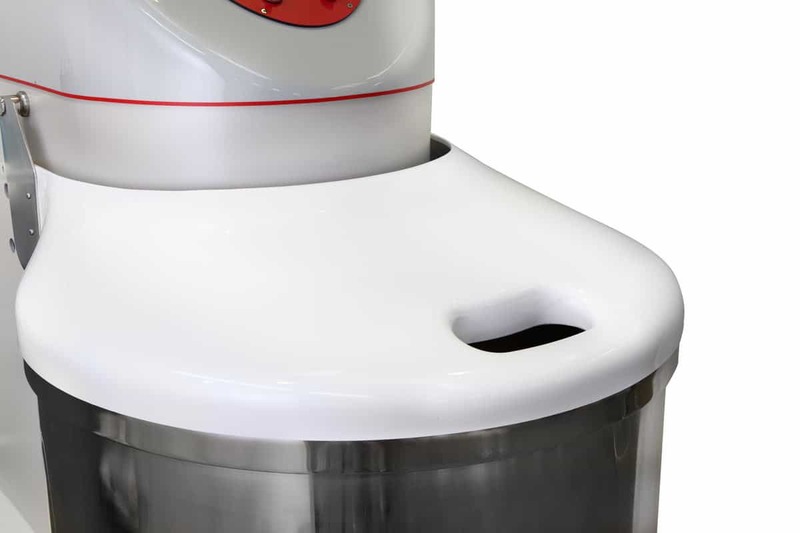 Designed for durability, ease of cleaning, and overall sanitation. Capable of running at either low or high speeds. A durable see-through cover made of clear acrylic (PMMA). A non-see through, plastic bowl cover made of ABS plastic. 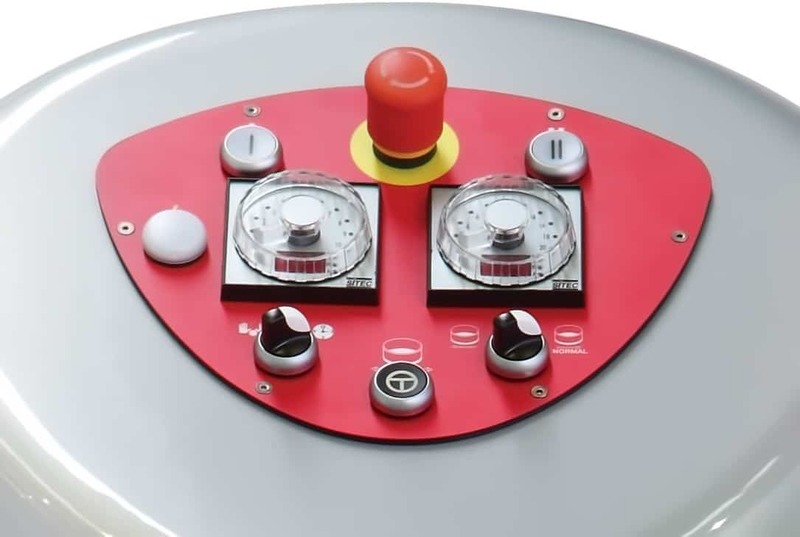 In place of the standard electromechanical control panel, this also features an electronic bypass to avoid any service disruptions. 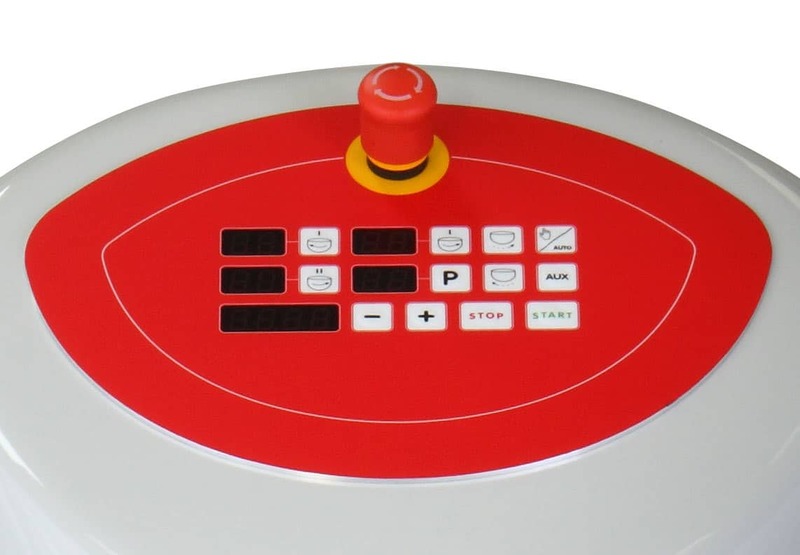 Optional electronic control panel on the LP VIS-R Series, featuring a manual bypass. 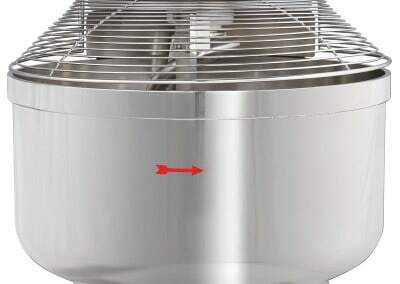 An optional ABS plastic bowl lid for the VIS-R Spiral Mixer. 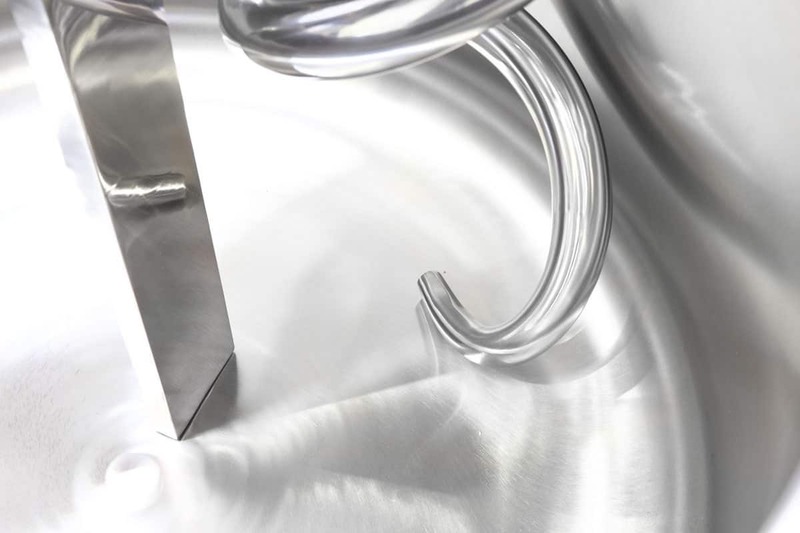 An optional transparent acrylic plastic bowl lid for the VIS-R Spiral Mixer. 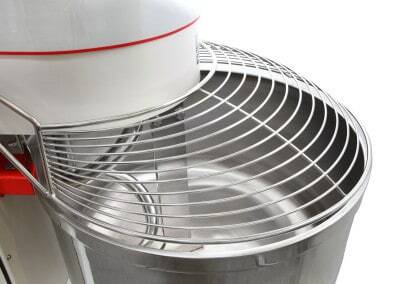 The standard, stainless steel grate style bowl lid for the VIS-R Spiral Mixer. 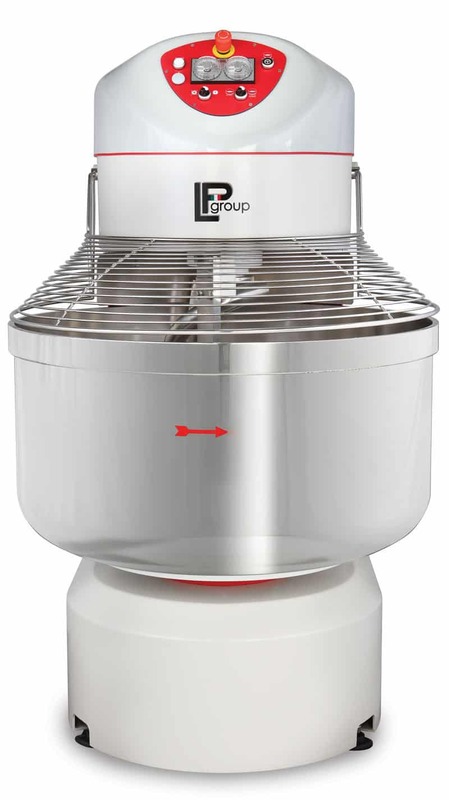 Side view of the LP Group VIS-R spiral mixer. 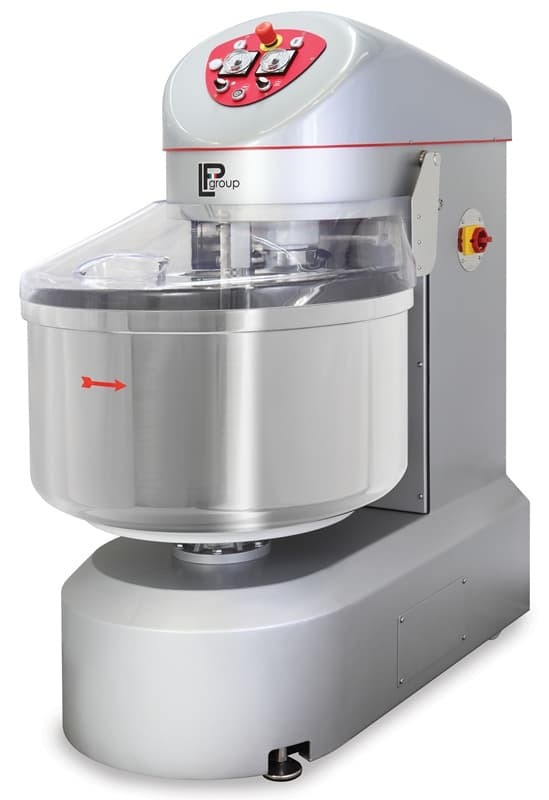 Front view of the LP VIS-R series of Spiral Mixers. 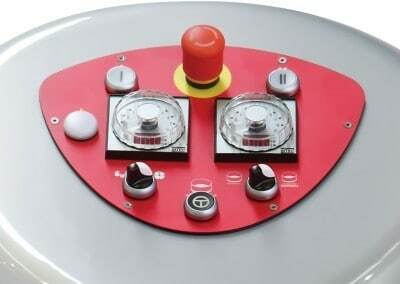 This is the standard electromechanical control panel on the LP VIS-R spiral mixer. This is the reinforced breaking bar standard on the LP Group VIS-R spiral mixer. 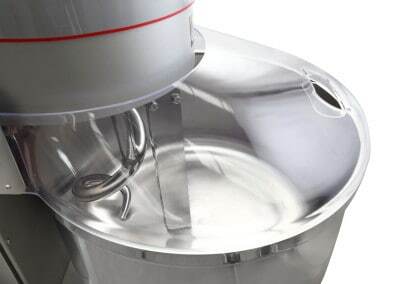 A reinforced spiral mixer for suitable low hydration doughs such as bagel dough.